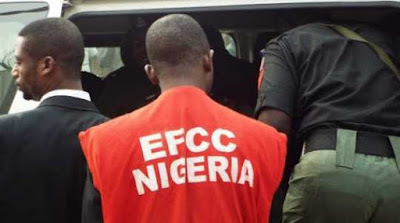 The Economic and Financial Crimes Commission (EFCC) on Tuesday in Abuja, re-arraigned Nanle Dariye, son of former Plateau governor, Joshua Dariye, on a six-count amended charge of money laundering. The News Agency of Nigeria (NAN) reports that the total sum in question is about N1.5 billion. Mr Dariye who was re-arraigned before Justice Ijeoma Ojukwu at the Federal High Court, Abuja, entered a “not guilty” plea to all six-counts. When the matter was called, the prosecuting counsel, George Adebola, said that the matter was for re-arraignment and prayed the court to read the charge to the defendant to take his plea. Justice Ojukwu adjourned the matter until April 27 and May 10 for commencement of trial. facing prosecution, on February27 on the same charges alongside Apartment le Paradis, a hotel where he was a director. The anti-graft agency alleged that the defendant sometime in 2013, failed to report a cash transaction to the tune of about N1.5 billion which he received through the hotel’s account in one of the old generation banks. It said that the amount was above the threshold of the N10 million permissible by law and that the hotel was also not registered as Designated Non-Financial Institution, (DNFI). The agency said the offense contravened Section 5(1) (a) of the Money Laundering Prohibition Act, 2011 as amended and punishable under Section 5 (b) of the same Act. He was admitted to bail in the sum of N5 million with two sureties in like sum. "Buhari does not deserve to be re-elected"